The next stage of our walk begins at the junction of the track we took from St.Michael's Church gate to Queens Highway. From here we take the left track and proceed southwards towards the railway crossing. Once safely over the track we then begin our walk along Fisher Row (possibly named after the Rev. Charles Fisher, Rector of St.Michael's 1829 - 1836) towards the 'man made' Oulton Dyke. 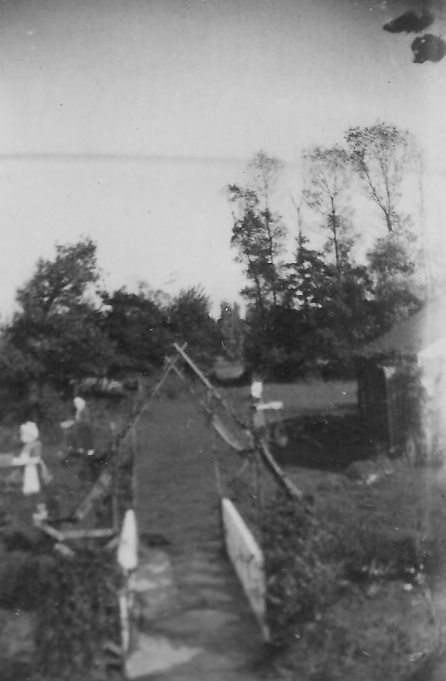 This was excavated long before the age of the railways to link up Lake Lothing and Oulton Broad to the River Waveney. This waterway was crossed at Mutford Bridge (the present day Lowestoft suburb of Oulton Broad). Lowestoft was a well established fishing port for many centuries but its first proper harbour wasn't created until 1830. Prior to this Lake Lothing was landlocked and fishing boats landed their catches on the beach (many people wish that Lake Lothing had remained that way!). An ambitious scheme, by the Norwich and Lowestoft Navigation Co. to build the harbour and the excavation of a waterway that linked the River Waveney and the River Yare - the 'New Cut' from St.Olaves to Reedham - was mainly instigated by Norwich merchants who envisaged that by having a link to the sea at Lowestoft, this would overcome the opposition by Gt.Yarmouth port officials to their plans to make Norwich a 'port' and also reduce their costs of using the sea route only then available via Gt.Yarmouth. The port of Gt.Yarmouth officials imposed heavy charges for the use of the port for this route to Norwich. Shipping was using the new Lowestoft harbour by 1831 and by navigating via Lake Lothing, Oulton Broad, Oulton Dyke, the River Waveney, the 'New Cut' and then the River Yare, vessels could sail to the city of Norwich. Despite the continuing opposition and other delaying tactics used by customs and harbour officials at Gt.Yarmouth, vessels were using the 'new' route by late 1833. The whole scheme however was never really successful and with mounting debts the company was put up for sale around 1835, for which there were no buyers. Subsequently the use of the harbour gradually declined. At this time the Gt.Yarmouth Port Authorities paid for and constructed the lock at Oulton Broad, thereby separating the saltwater side of Lake Lothing from the fresh water side of Oulton Broad. This was done to justify their claim that by cutting off a direct link to the sea at Oulton Broad it would reduce the risk of the Rivers Yare and Waveney from silting up!. There were obviously other reasons also!! The arrival of the railways a few years later saw the total decline of the use of those waterways as trade routes. 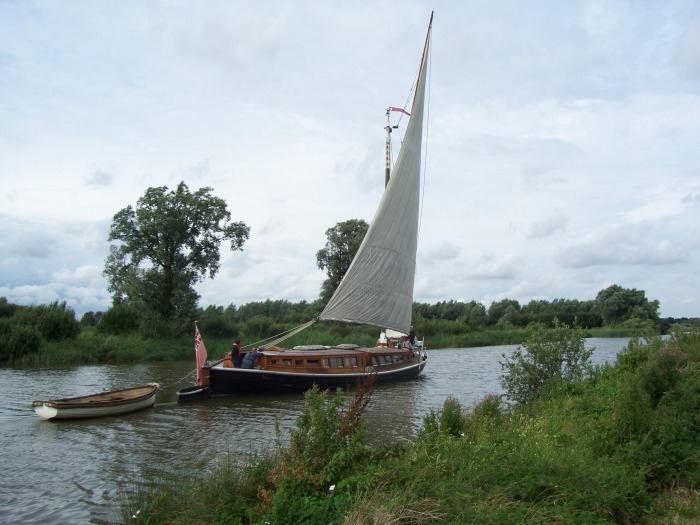 Nowadays the waterways, which all link up to form the Broads (formerly named the Norfolk Broads), are mostly used for pleasure and are part of the attractions offered by the tourism industry, in the form of holidays afloat aboard the many cruisers that can be hired. Above: The unusual gravestone of George Edwards in St.Michael's churchyard. George Edwards (1804 - 1893) was the Civil Engineer in charge of the construction of Lowestoft Harbour. The huge 'ice age' boulder which marks his grave was dredged from Lake Lothing during the construction. He laid claim to it and specifically requested that it should be used as his gravestone. 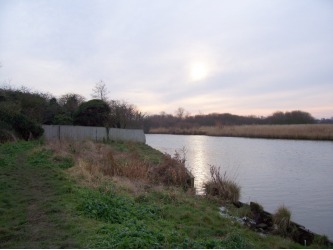 When we arrive at the end of Fisher Row we continue along the bank of Oulton Dyke and arrive at the new moorings recently constructed by The Broads Authority. 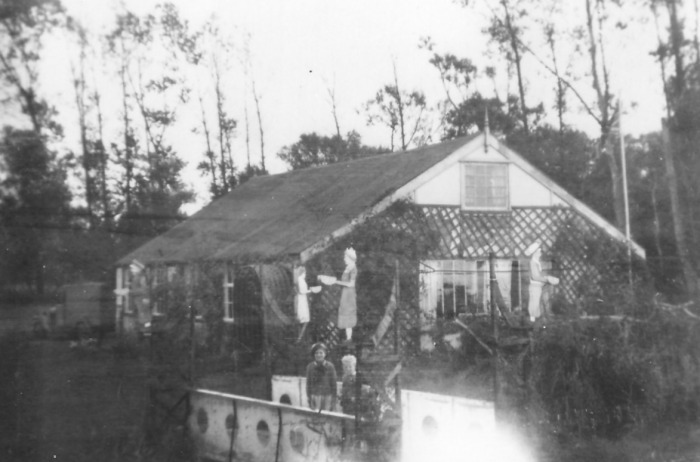 This is the area that once was the site of the Dutch Tea Gardens, a tea room that operated from there for a great many years, up until the 1950s. 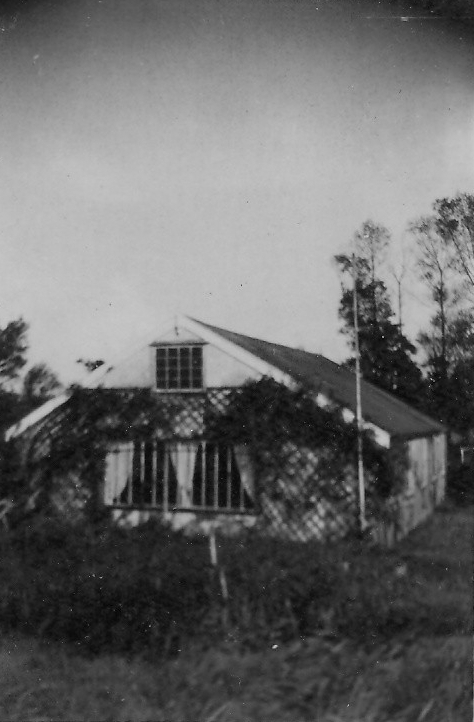 The building was a large wooden hut, which has now been demolished. The only brick built part was the ladies toilet. Parts of this can still be seen. The tea room provided refreshments (and ice cream!) for walkers and those travelling by river on pleasure trips. Supplies (including ice) for the tea rooms were brought by motor vehicle, rather than by river, using the Fisher Row track and the connecting track (our return route). This track is on fairly stable ground and so could stand the weight of a vehicle. Information boards have been erected at various points around this interesting area detailing some of the wildlife that can be found and some historical data. Whilst in this area it is worth mentioning the author George Borrow's connection. 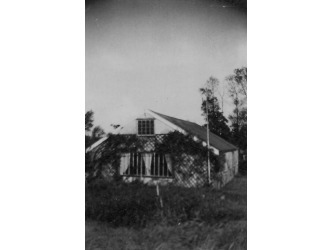 He resided nearby in the latter part of his life, having married a local widow, Mary Clarke. Her father was Edmund Skepper who owned Oulton Hall (the site of which is just outside the parish boundary), which she inherited. On some early maps a mill named Skeppers Mill existed in the area of Gravel Dam. Borrow had a great dislike of Sir Samuel Morton Peto whom he claimed spoiled the countryside with his railway link from Lowestoft to Reedham. This dislike came about due to the fact that the railway line was cut through the Oulton Hall estate for which Peto had to get parliamentary consent. 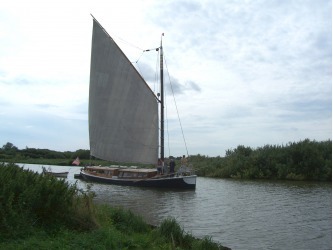 Parts of the surrounding marshlands are leased to, or have been purchased by, the Suffolk Wildlife Trust who do a marvellous job in the management of the marshes so that a variety of wild flowers and birdlife habitats can flourish. They have recently introduced Highland cattle that graze on the marshlands which greatly helps with its continuing improvement. We return to Fisher Row along the 'supply route' track and then back over the railway crossing to Queens Highway. 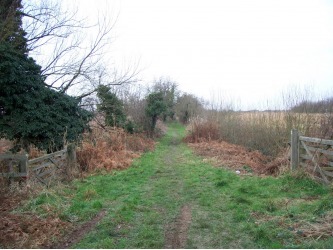 We will now continue back up the track leading up to St.Michael's and make our way towards Camps Heath by way of Church Lane passing the end of Sands Lane, on our right, heading northwards. Note: The name 'Camps Heath' is said by some to be a corruption of 'Kemps Heath'. However there is a record of Oulton/Houghton Hall being owned by a Benedict Campe of Kessingland who purchased it in 1606. Perhaps this is the origin of the name. He sold it in 1615 to a Thomas Love of Ellough. In the list of Enumeration Districts of Lowestoft of 1891 it is listed as Kemps Heath. On the first edition of the one-inch Ordnance Survey map printed in 1880, this place name is not shown although buildings are marked on the map. 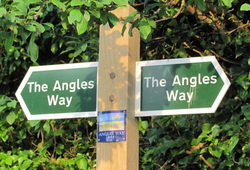 Some of the footpaths/roads in this area form part of the Angles Way national footpath network. The sign depicted here is positioned alongside the telephone kiosk on Queens Highway, opposite Dairy Farm. 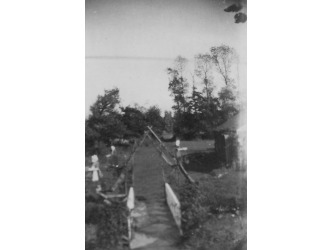 Below: The Fisher Row railway crossing. Below: LEFT: A January (2009) sunrise at Oulton Staithe. 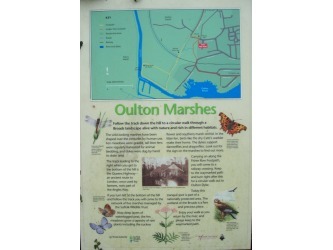 CENTRE: One of the Suffolk Wildlife Trust information boards detailing their work on Oulton Marshes. 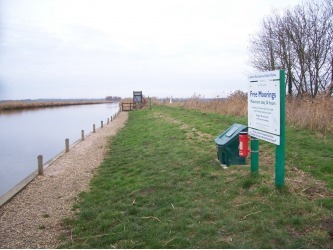 RIGHT: The recently completed 'new' free moorings next to the Dutch Tea Gardens site on Oulton Dyke (The Broads Authority). 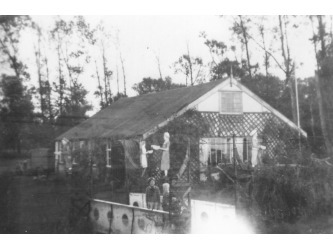 Below: Photos of the Dutch Tea Gardens referred to above. Below: LEFT - View of Oulton Marshes from the Dutch Tea Gardens site. St.Michael's is just beyond the distant trees. 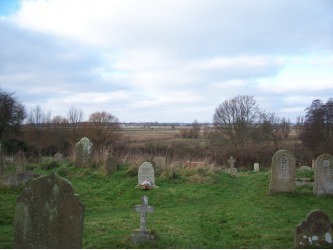 CENTRE - View of Oulton Marshes from St.Michael's churchyard. St.Michael's is sometimes referred to as the 'Sentinel of the Marshes'. RIGHT - View of the 'supply route' track looking towards the Dutch Tea Gardens site - viewed from Fisher Row. 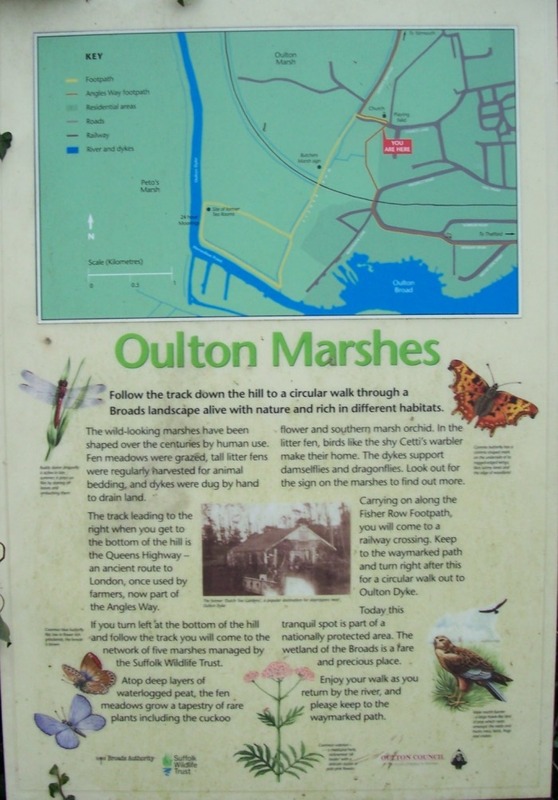 Below: Views of OULTON DYKE. Above: A map outlining the land owned by Oulton Poor's Trust. The registered charity 'The Poor's Land in the Ancient Parish of Oulton' (also known as Oulton Poor's Trust), owns some of the land within the area known as Oulton Marshes. 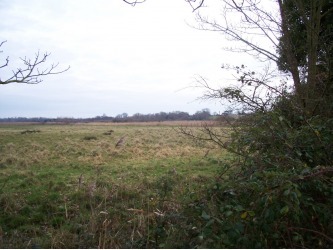 This land has been leased to the Suffolk Wildlife Trust, the income from which is applied in relieving, generally and individually, persons resident in the area of the parish who are in conditions of need, hardship or distress by making grants of money or providing or paying for items , services or facilities calculated to reduce the need, hardship or distress of such persons.